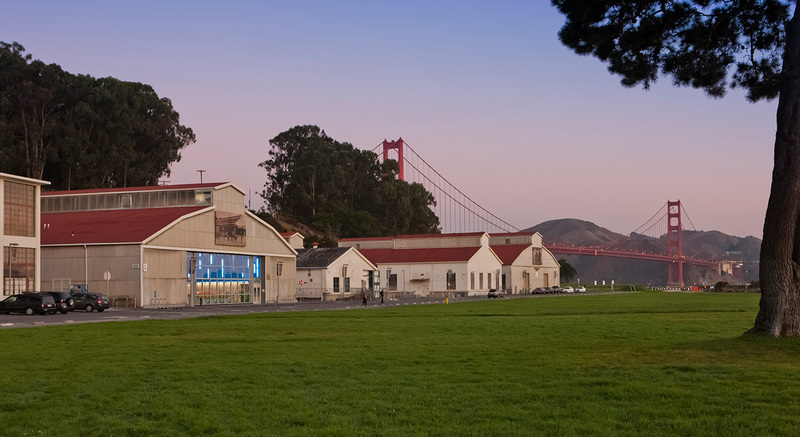 The Crocker Science Center is a shining example of bonding an older historic building with a new addition in an area of high seismic risk. 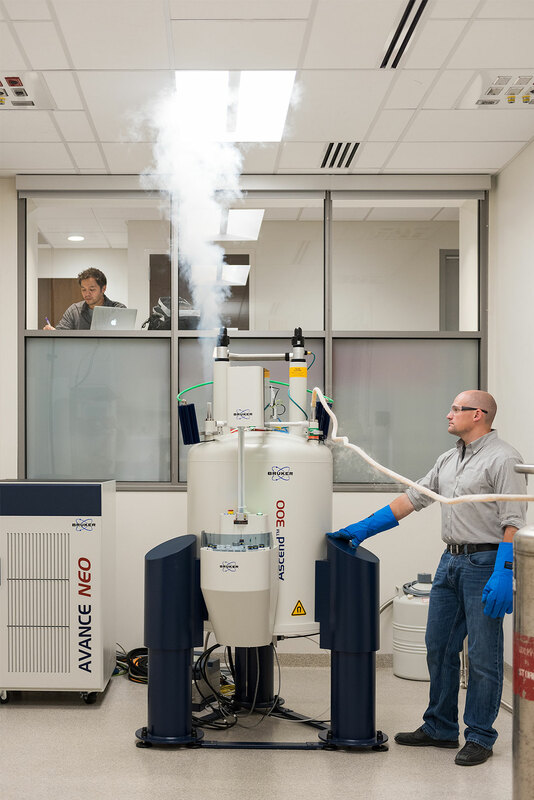 Through a Public-Private Partnership with the State of Utah and the Crocker family, this project created a state-of-the-art science learning center. 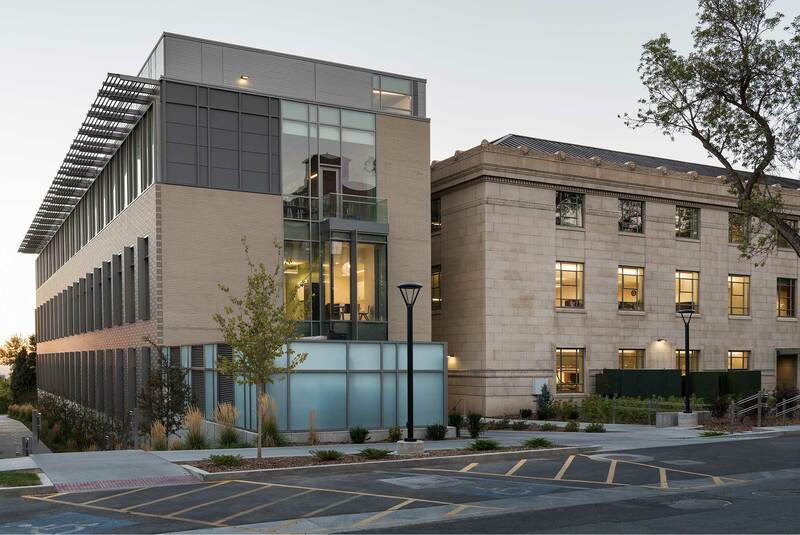 The structural approach successfully merged the historic, circa 1935 George Thomas Building (one of the first structures on campus that has housed the University Library and the Utah Museum of Natural History) with a sturdy reinforced-concrete wing of new construction. This approach produced a better functioning, high-performance, integrated educational facility. 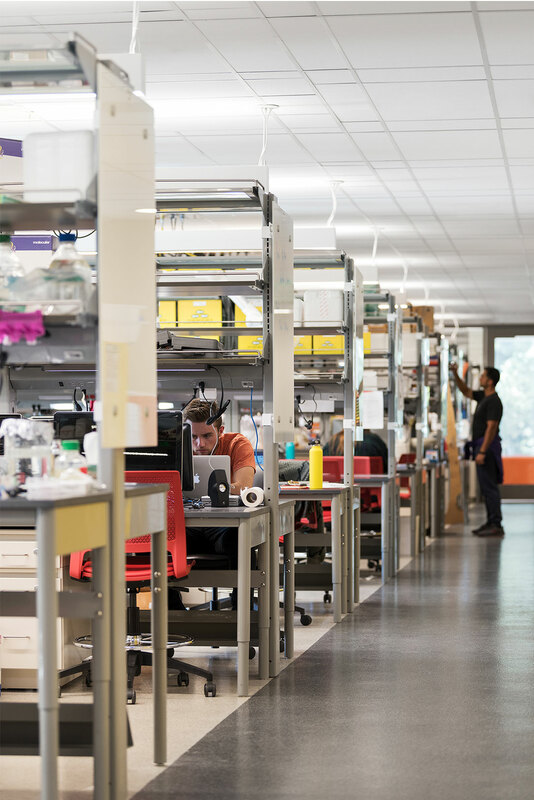 The science center’s amenities include leading edge laboratories and technological services, classic lecture halls and classrooms, as well as inviting and open collaboration spaces—creating an outstanding learning environment for modern scientific research while honoring campus heritage. Contrary to the conventional philosophy of creating seismic separations between older and newer buildings, this project did the opposite. 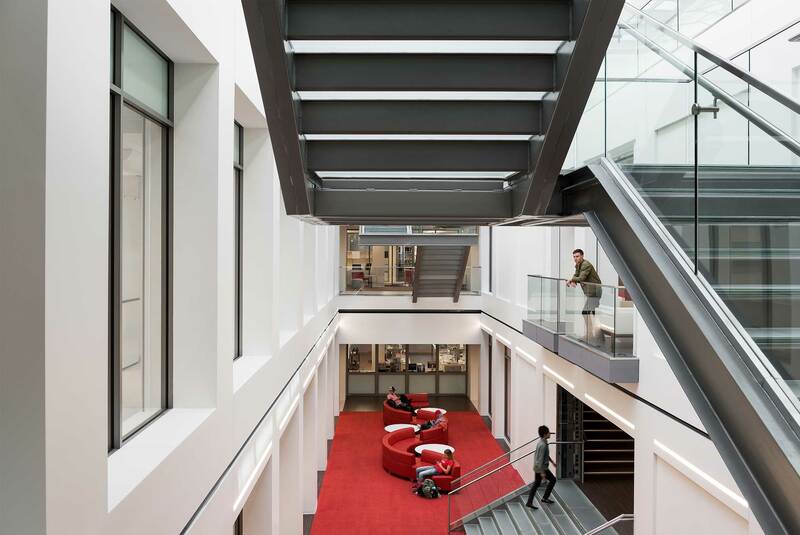 Working in the role of Seismic Specialist for Reaveley Engineers & Associates, Holmes Structures helped integrate the new addition into the George Thomas Building to create one unified, robust structure. 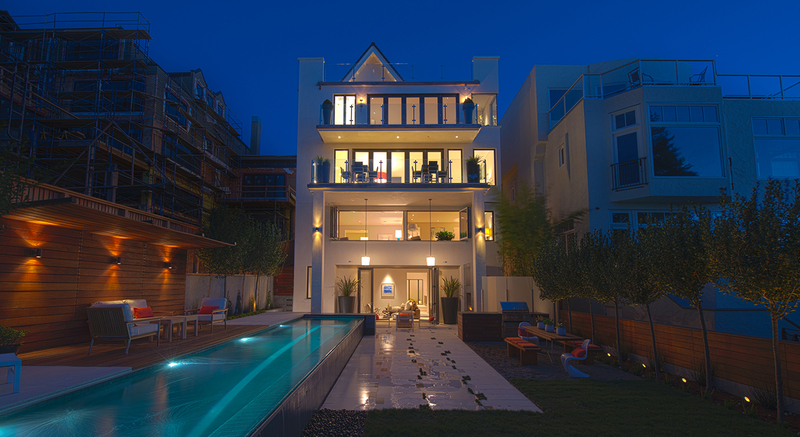 By using modern, state-of-the-art performance-based non-linear modeling techniques, Holmes Structures captured the inherent strength of the existing building and provided design verification for a holistic retrofit design. 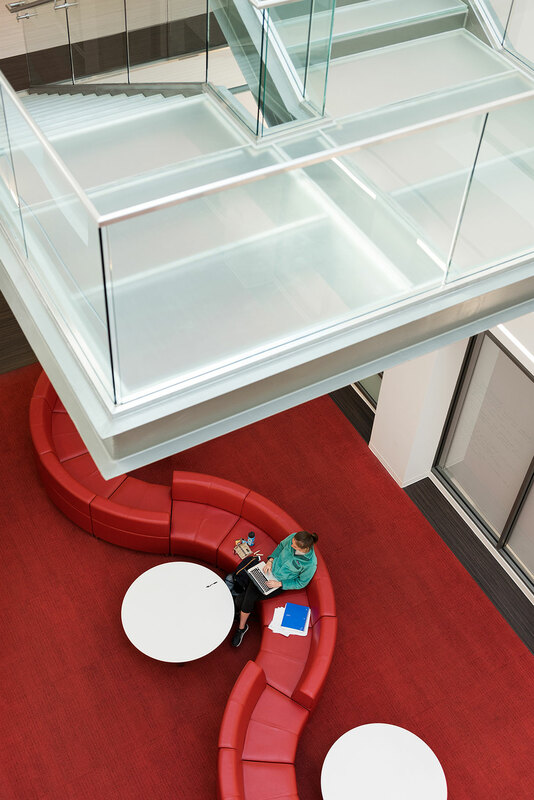 Performance-based design was critical to achieving building performance requirements well within the project’s allotted budget. The structural design was extremely efficient. 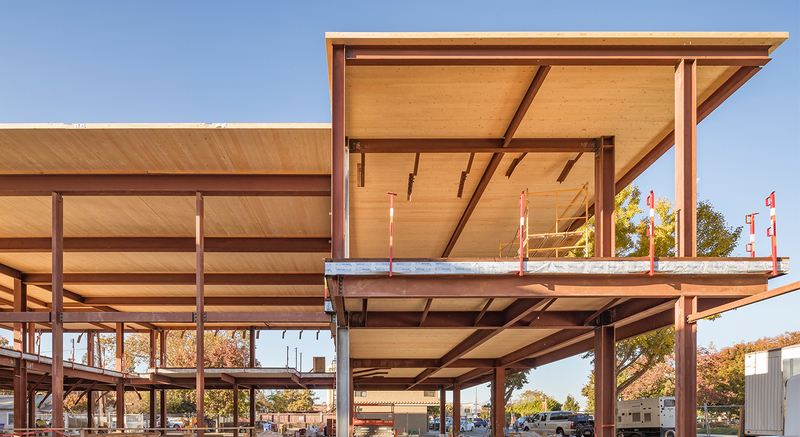 By utilizing the new addition for seismic strength, only two shear walls were required to be constructed within the historic building for a balanced, high-performance, lateral force-resisting system. The shear walls were strategically located in a vacated chase so as not to affect the historic finishes. 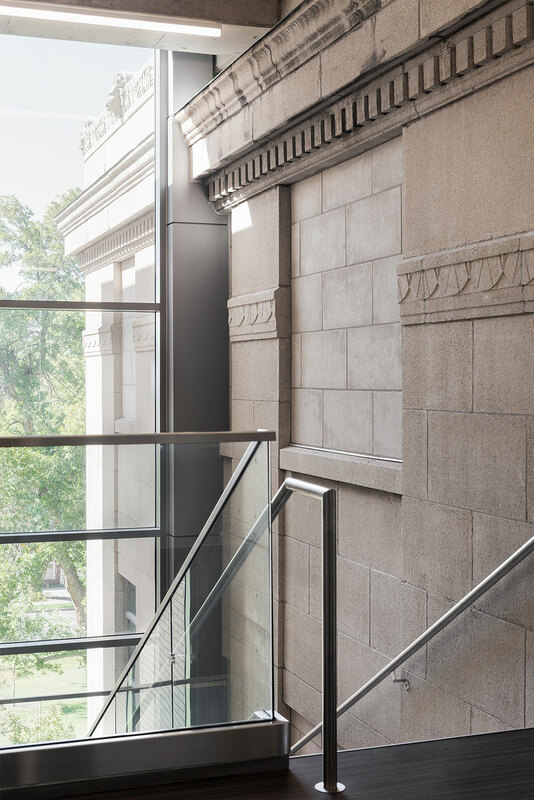 This greatly reduced the need for invasive, costly structural work that would have otherwise impacted the building’s character. 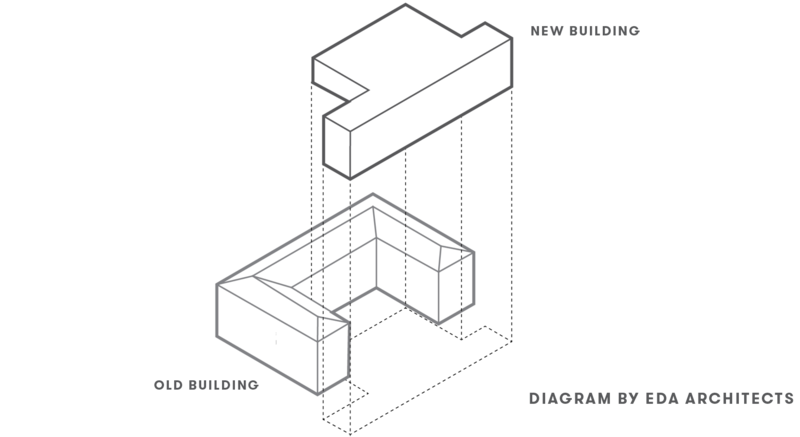 We broke the rules, merging a new building with old for one seriously strong, integrated structure. 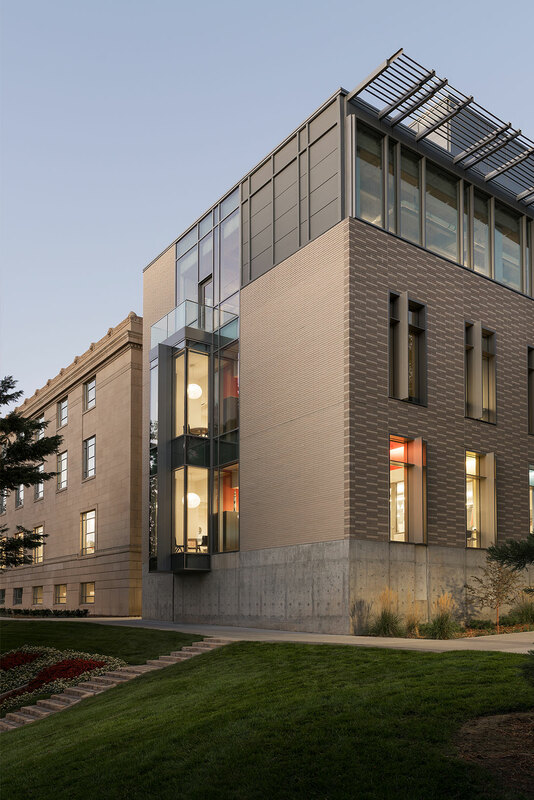 Today, the Crocker Science Center houses the Henry Eyring Center for Cell and Genome Science and the University of Utah Center for Science and Math Education. 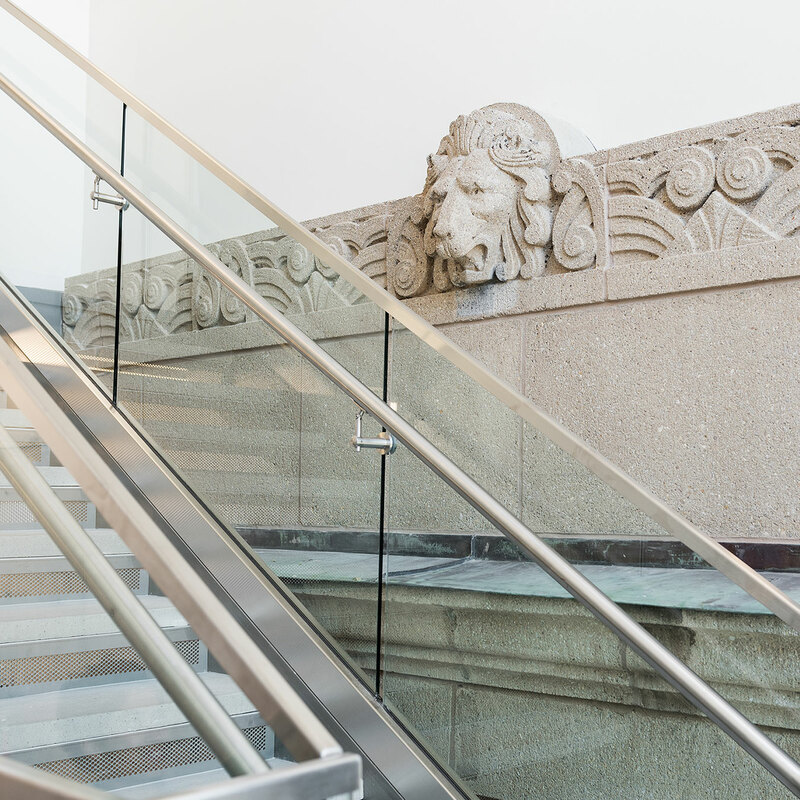 The historic part of the building maintains its distinctive charm, including an iconic double-stair in the entrance lobby, a wood-paneled reading room that now serves as classic lecture space, and an arched ceiling hallway that provides collaborative circulation space with light food and beverage service. 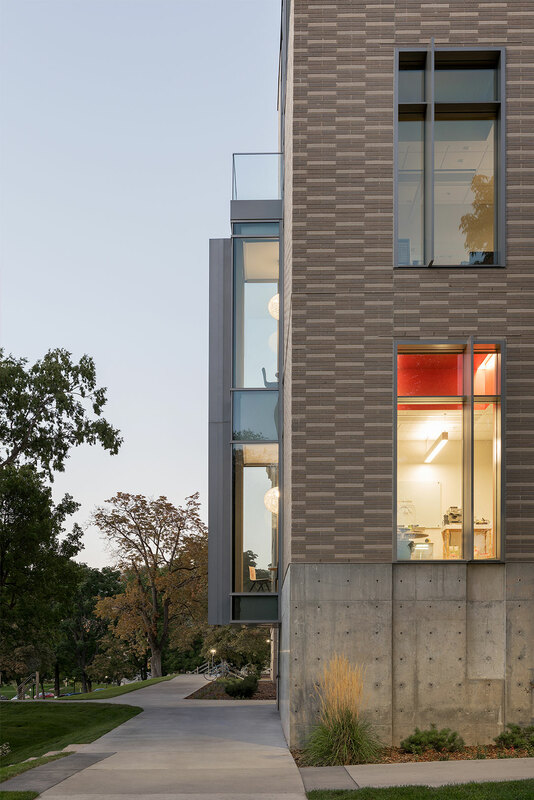 Architecturally, much of the new and the existing reinforced concrete structure is exposed, creating a highly varied but complementary pallet of interior finishes that transition well between the new and existing portions of the building. 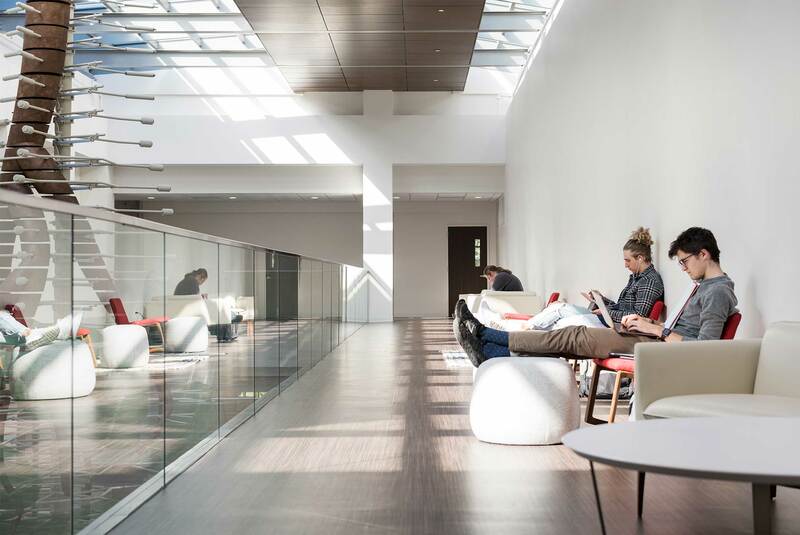 At the juncture of the historic building and the new addition, an atrium also extends upward, casting natural light on the building’s interior. 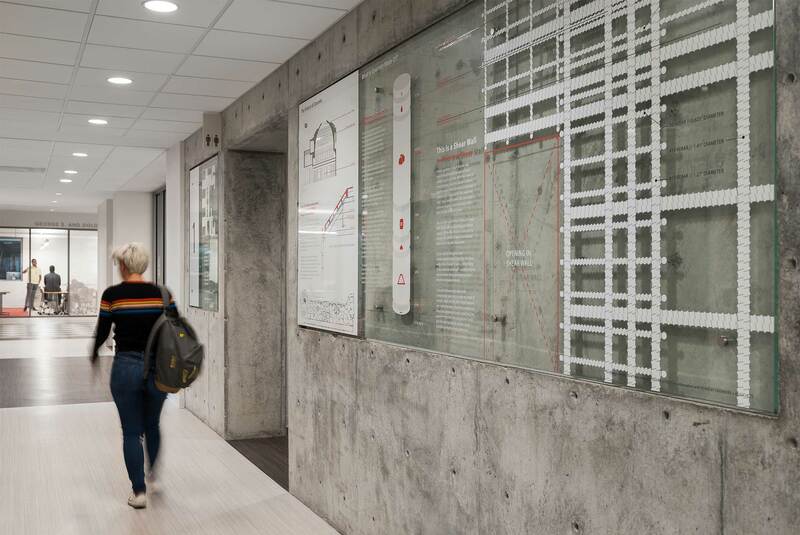 Throughout the building, numerous areas of exposed structure are labeled with placards and diagrams—serving as in situ learning exhibits for students to discover more about the art and science of Structural Engineering. The concept of science on display is celebrated throughout Crocker Science Center with many labs throughout the building visible to visitors.